Years ago, you really only saw metal roofs on commercial buildings. Not the case anymore. More and more homeowners are now jumping on the metal bandwagon because of the many benefits. The benefits offered by today’s metal roofs allow homeowners to upgrade their homes with products of lasting value. No one wants to have to replace their roof after only ten years. 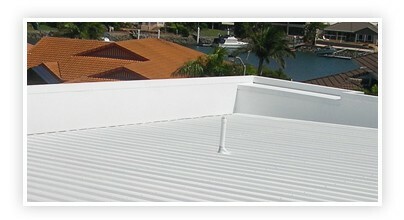 While other roofs quickly diminish in value as they age, metal lasts a lifetime. If you want a roof that is constructed to combat high winds, has a long life expectancy and is extremely low maintenance, you should consider a metal roof. Local home improvement experts say, metal beats out conventional roofing materials on a number of different counts. August 1, 2012Comments Off on What Makes Metal Roofs So Popular? What Makes Metal Roofs So Popular? It seems that everywhere you look, metal roofs are popping up everywhere. There’s a reason why metal roofs are gaining in popularity both in residential and commercial properties. So why are metal roofs becoming so popular? Well, for starters, replacing traditional roofs with aluminum metal roofing can effectively keep a home insulated and cool. If you’re thinking about a metal roof, you’re not alone. It’s not just for businesses, nowadays homeowners are after energy savings, and are choosing metal for their roofs. Metal roofs use energy-saving building materials and products that not only secure and improve structures but also provide long-term cost-cutting on energy bills. Another benefit is that they promote environmental and economic sustainability. Among the array of possible upgrades, “cool metal roofing” offers a solid, attractive roofing solution available in multiple colors, textures, and profiles. Metal roofs are available in steep-slope and low-slope applications, that can save your household a substantial amount of money on its annual energy costs. In fact, according to the Cool Metal Roofing Coalition, installation of reflective metal roofing can save your home up to 40% in summer cooling energy costs while highly emissive metal roofs can reduce air temperatures by as much as 12 ° F. Combined, these benefits mean less money out of your pocket, less dependence on energy resources and less general air pollution in your neighborhood. Another benefit is that realtors say potential buyers are attracted to homes with metal roofs. They know they add up to energy savings and they will last for many years to come!